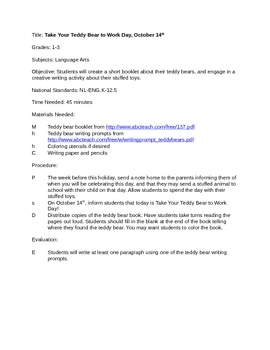 This is a writing activity to celebrate Take Your Teddy Bear to Work Day on October 14th. Students will engage in a writing activity and create a booklet with their stuffed animal friends! This lesson is part of my holiday writing activities; one for every day of the year!